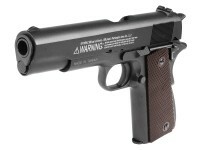 Read more about the Remington 1911 RAC BB Pistol in Dennis Adler's Airgun Experience Blog. Lots of realism! 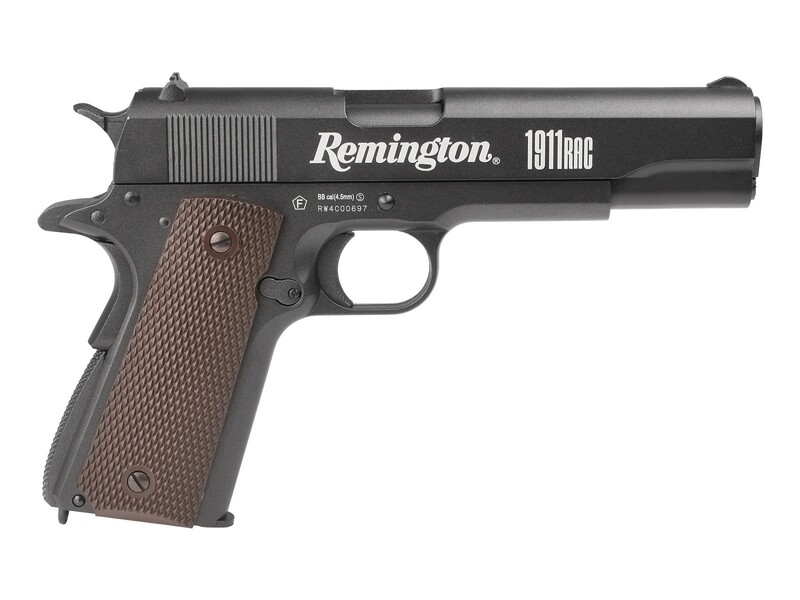 Remington Arms makes several 1911 firearms, so they know a thing or two about what shooters want in this classic pistol design. No matter what your reason for buying this gun, you're going to enjoy shooting it for hours on end. Whether you're looking for a fun BB gun to shoot on your home range or need a pistol to help you stay proficient with your firearm, the Remington 1911 RAC is the one to get. BBs are less than a penny a round. Compare that to what live ammo costs. Add the benefits of not having to go to a range, and you're way ahead of the game. Things I liked: Good weight. Nice blowback feature. Things I liked: Another very realistic replica pistol. The trigger is very nice and it feels great in your hand. The blow-back action is very cool... 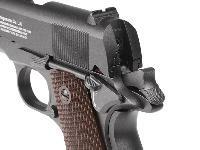 Accuracy is as too be expected from a BB pistol with the sights it has and is plenty good enough for plinking with. Things I liked: Fit Finish and quality. Side by Side my Remi 1911 RAC looks and feels the same to my Remi R1. Love this gun. Function is awesome. Have passed 2k rnds thru it. Enough power for me pinking in the backyard My RAC l I treat my RAC like my R1 to a degree. Like being able to field strip and bore clean. I really like the blow-back feel. Trigger pull is spot on. I like the fact RyramydAir sells this piece for a nice price along with their wonderful technical articles. Thanks PyramydAir. Things I would have changed: Not have all that IDIOT labeling on the side. Looks ugly. Understand the litigation requirements however it still looks horrid. White Dot or luminous sites like on my BeeMan P-17 would be fun. The ultimate would be a tight twist rifled barrel. What others should know: Use Hornady Black Diamond pellets for the most accurate experience. Use Umarex High Grade Co2's for the best protection of your o-rings. 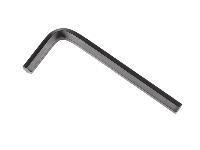 Use RWS oil, a drop on the top of each CO'2 load up for long o-ring life. Do not shoot this piece in winter or cold temps. Do a field strip and lube every 500 rnds. 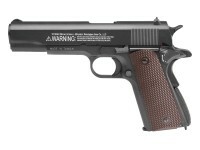 Second question: Can the 1911 RAC fire pellets? 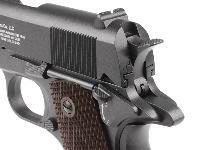 First of 2 questions: Can 1911 grips be used with modification (via Dremmel/router) to the "grip soul" you mentioned? Actually, I just saw a Yoitube vid that answers my question. The answer is YES!! !